I have been soooooooo looking forward to this. It was quite a journey to get here; from Chesterfield to London St. Pancras, across London to Vauxhall on the Tube, transfer to the overground, from Vauxhall to Clapham Junction, then from there to Richmond. I could have taken a bus from there, but wanting to be sure to arrive in time for the Eucharist I took a taxi instead. I have been feeling tired for weeks. I want to say I am exhausted, but it’s really not that bad. The journey this morning showed me just how much I need to spend some time here. The train seemed too full of people being too noisy, wearing perfume and aftershave that was too strong, people talking on their mobile phones, taking selfies . . . I retreated to my kindle and watched the countryside and cities speed past. So I got to Richmond and made a half-hearted attempt to look at the bus timetable but then gave up and went to find a taxi. Halfway to the convent I suddenly started to unwind. I closed my eyes and leaned back. The taxi driver sounded concerned, “Are you all right?” Yes, thank you, I’m fine. I’m going on retreat, you see, I added in my head, and I really need to just . . . stop. Stop the noise, stop the crowds, stop having to be somewhere. Just stop, and be. Breathe. Unwind. Pray. I arrived with plenty of time before the Eucharist, so I was shown to my room and had some time to let the silence start to soak into my consciousness, to sit quietly and put everything down, put all the thoughts away. The Chapel has changed a little since my last visit twelve months ago. The altar is in a different place, the chairs arranged in a different shape. From where I sit I can see into the garden, the altar is to my right, the lectern to my left, the chairs arranged in the shape of a boat, two rows on either side facing each other. There is something very soothing about the the Eucharist and the Daily Offices being said and sung in only women’s voices. The pace is calming, our voices all merge together in an unhurried and soothing flow. It feels timeless. There is no rush to anything, we all join in this process. It is easy to feel my heart open, lifted up. After the Eucharist it’s time for dinner, the midday meal being the main one of the day here. 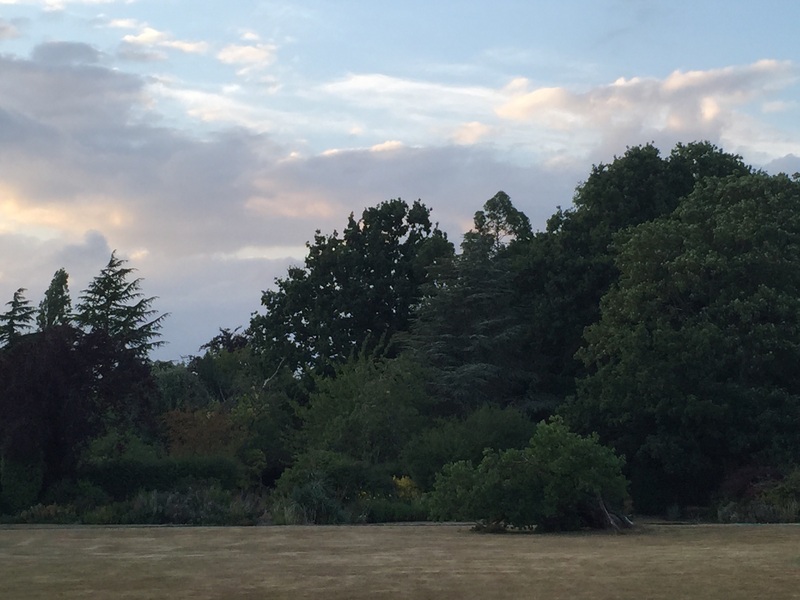 After that I spent some time in the garden, waiting for my spiritual director, who lives here alongside the community but has made her vows through the Single Consecrated Life. We usually Skype about once every six weeks, so it was wonderful to sit down together in person, in the same place, in the same time zone! We talked about all the things that have been on my mind and that I want to work on. It was a beginning, not with conclusions but with openings, things to try, to do. With lots of things percolating in my mind I wandered around the garden for an hour, sitting in different places, taking photos, enjoying being in the quiet, green space. It is such a wonderful place to be. It’s not just a garden, it’s an orchard and woodland. There are squirrels, foxes, ravens, magpies and even parakeets. Apparently the urban legend is that when Jimi Hendrix was in London he released his two pet parakeets and from that pair has come all the parakeets that can be found in different parts of London. I think the ancestors of these beautiful but screechy birds must have been someone’s pets, but Jimi Hendrix? 5pm is Evening Office, so back into the Chapel for that, then supper, a lighter meal than dinner. While we ate our supper a fox helped itself to the dog biscuits the Sisters put out for the foxy family every afternoon. There are two parents and three cubs, but I only saw one animal this evening. I don’t know if I’ve ever seen a fox before, but I’m told they come every day so I shall look out for them again tomorrow. Right after supper is Compline, in the dining room, so the elderly sisters don’t have to trail all the way back to the Chapel. Compline over, I headed outside again, and sat on one of my favourite benches and prayed the rosary. Tuesday, the Sorrowful Mysteries. By half past eight I was inside and starting to think about blogging. Maybe it seems odd to blog while I’m on retreat, but one of the things I talked about with my spiritual director was doing more of the things that bring me joy, and feed my soul. Writing is one of those things, also; playing the flute, studying French, baking and maybe taking singing lessons. Now it’s dark (it’s after ten) and the only sound from outside is the water bubbling through a small water feature under my window. I feel extraordinarily peaceful, looking forward to tomorrow and a full day of services in the chapel and quiet time, time for prayer and sitting in silence waiting to see what God will give me in the quiet space of this beautiful place. 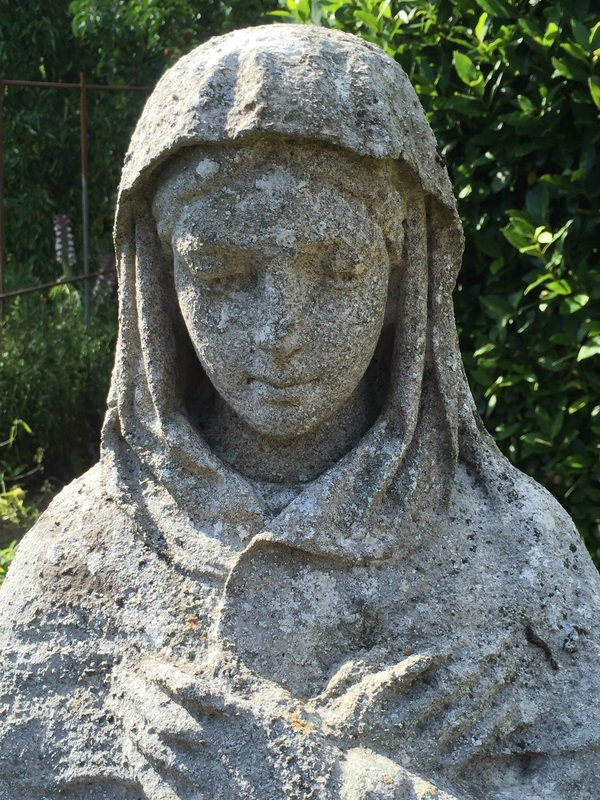 This entry was posted in Travel and tagged Compline, CSC, Evening Office, Ham Common, Holy Eucharist, Richmond, rosary, Single Consecrated Life, Sisters of the Church, Sorrowful Mysteries, spiritual director, St. Michael's by tokyopurplegirl. Bookmark the permalink.